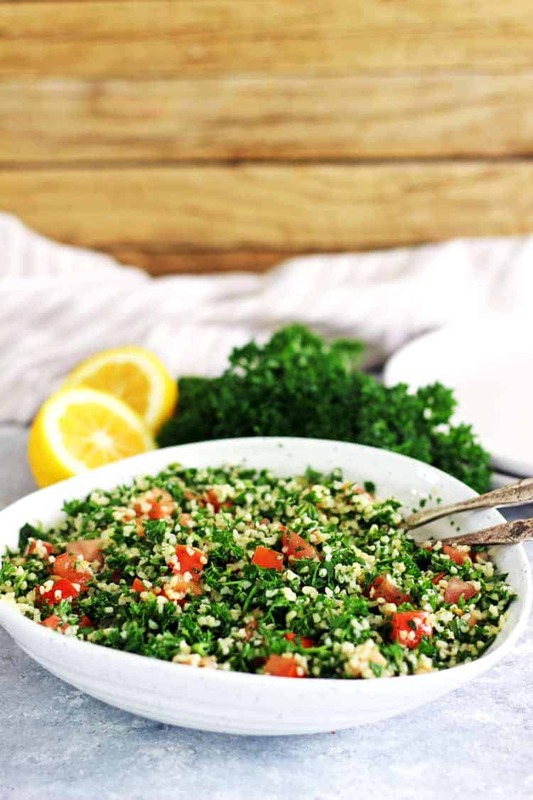 This easy tabbouleh salad recipe is so simple! It takes 10 minutes to throw together and is the perfect healthy side dish for picnics, BBQ’s or potluck dinners. It’s finally starting to feel like we are on the spring side of winter…YAY!!! I always feel a huge sense of relief at this time of year. I’m over the rain, the cold and the dark. It’s lighter at night, I’m starting to think about my summer garden and BBQ’s and picnics are on my mind! It’s also the time of year when I’m getting pretty sick of the things that are in the garden. I mean, I love broccoli and silverbeet but I am just hanging out for tomatoes, peppers and zucchini! 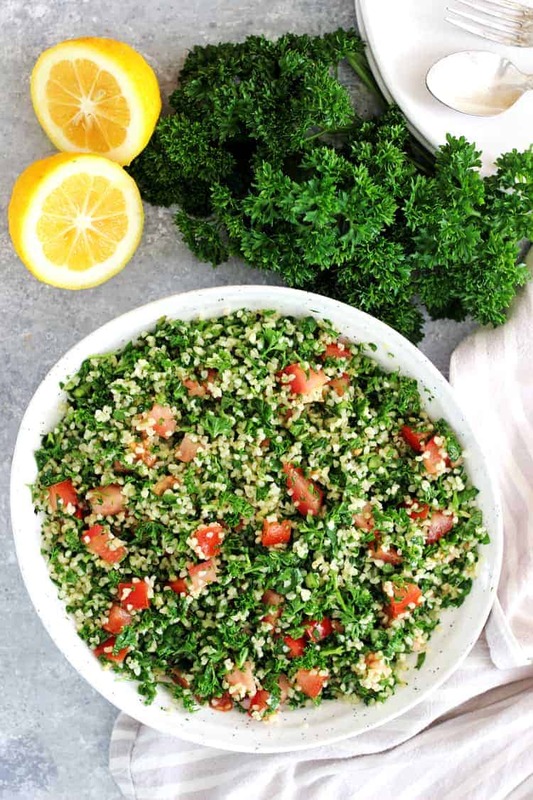 This easy tabbouleh salad recipe is the perfect in-between season salad. It uses what is growing in the garden – parsley, spinach, mint and lemons – but with a whole new spin on it! It’s winter veggies meets summer salad! I like it – and you will too! 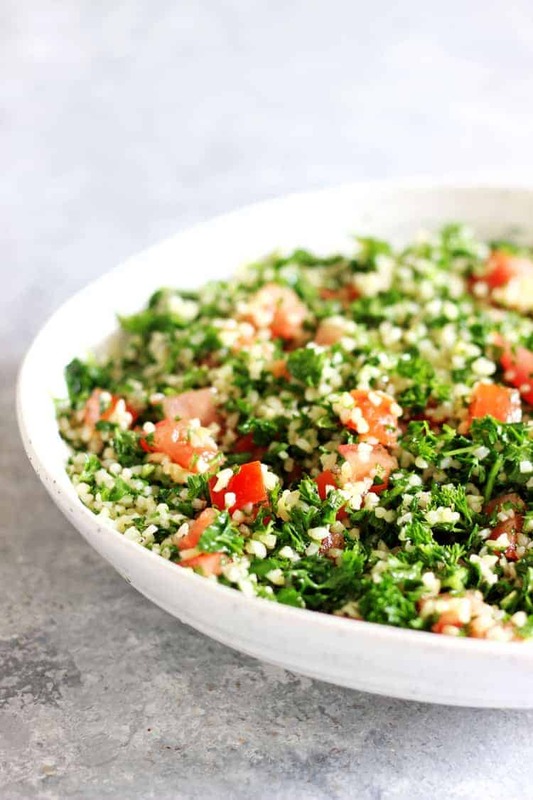 Tabbouleh salad uses bulgur wheat, which is something I have never actually used for anything else. If you don’t want to make a special trip to the store, you can absolutely make it with couscous or quinoa too. 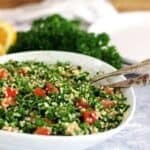 The great thing about bulgur wheat is that it only takes 10 minutes to cook, and that involves you pouring boiling water over it and leaving it! I usually prepare the other salad ingredients while this is soaking, making prep time for this salad so speedy! 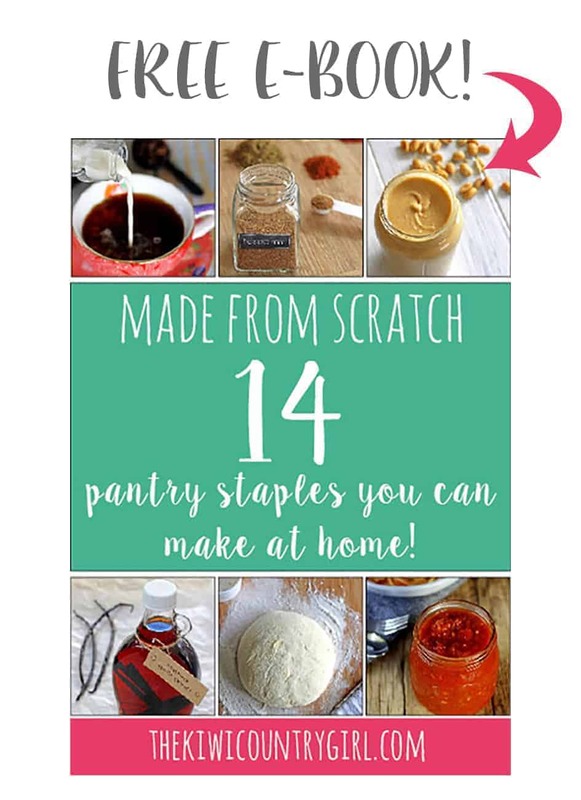 Quick to make – 10 minutes and you’re done! Perfect for taking places – make it in a container with a lid! 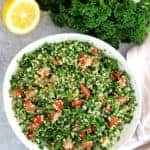 Tabbouleh doesn’t traditionally have spinach in it, but I have loads in the garden and I think it’s a great way to get more greens in there! You can leave it out but you won’t even notice it. The other great thing about this salad is that the recipe is more of a guide. You can play around with all of the quantities until it’s how you like it. There is no right or wrong way to make this! 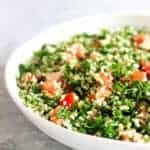 This easy tabbouleh salad recipe is so simple! It takes 10 minutes to throw together and is the perfect healthy side dish for picnics, BBQ's or potluck dinners. This recipe is more of a guide - trial it using more or less of anything and taste as you go! You'll learn what you like! Cook according to package directions. 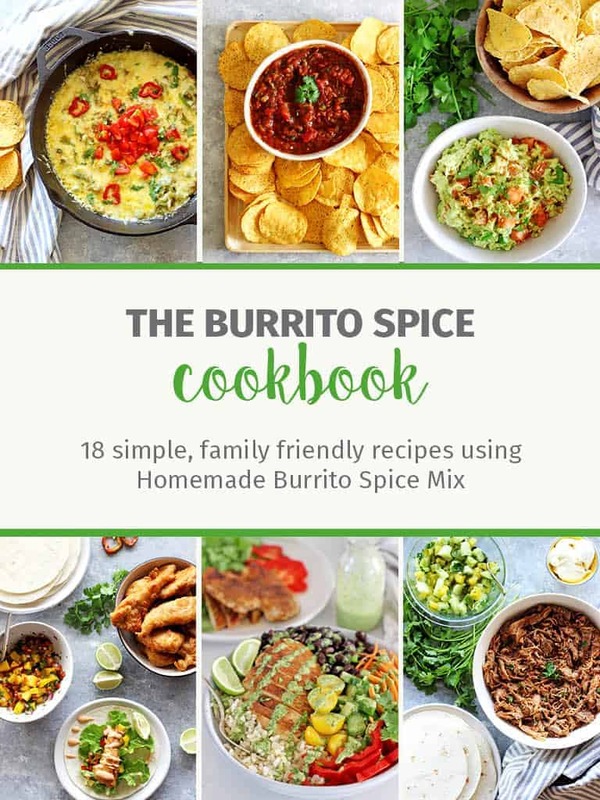 I make mine by pouring it into a medium sized bowl, covering with boiling water and leaving for 10 minutes while I prepare the rest of the salad ingredients. Then drain, cool and use. Chop the parsley, spinach and mint really finely! Chop until you think it's small enough, then chop it a little bit more! Dice the tomatoes into small cubes. 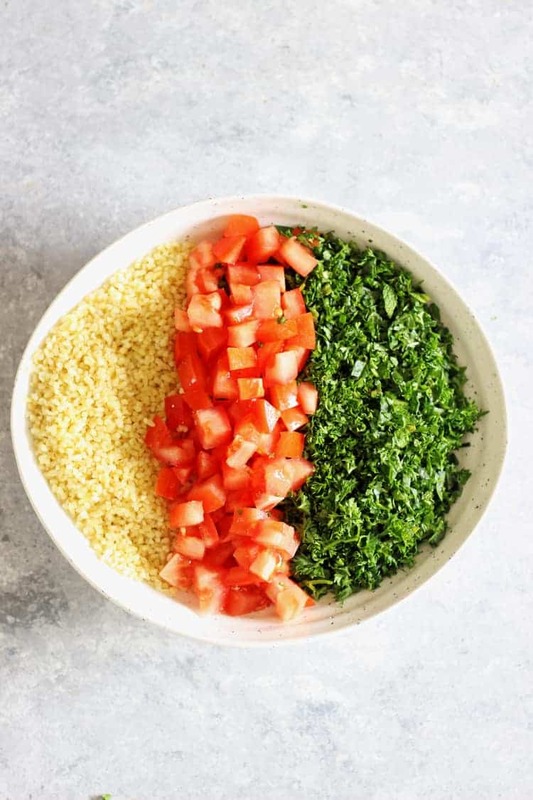 Add the cooled bulgur wheat, green herbs/vegetables and tomatoes to a medium sized bowl. Add the lemon juice and olive oil and toss to combine. Serve! 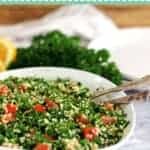 This salad can be served immediately, however it improves overnight so it's a great one to prepare ahead of time and store in the refrigerator until you are ready to serve. Salad will keep for around 5 days covered in the fridge. 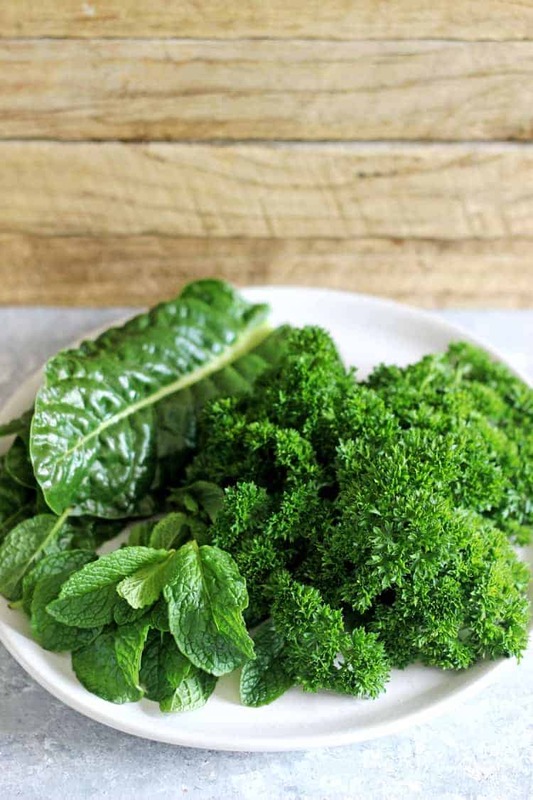 For the cup of fresh herbs I use about 1/2 cup parsley (about 1 large bunch), 1/4 cup spinach leaves (about 4 small/medium sized leaves) and 1/4 cup mint leaves (about 16 large leaves). You can play around with quantities and add more mint if you like!